Well, well, well, after my many blog posts during the pre-Macy's 2016 Thanksgiving Parade, it finally happened today, and it certainly did not disappoint! 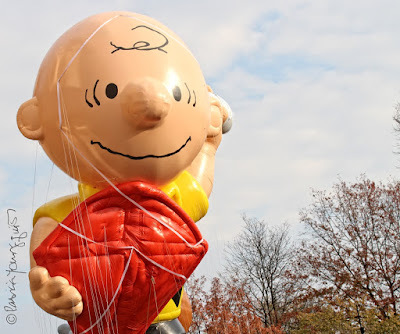 What a treat it was to witness the good man, Charlie Brown, lead the entourage of Macy's balloons down Central Park South in NYC! 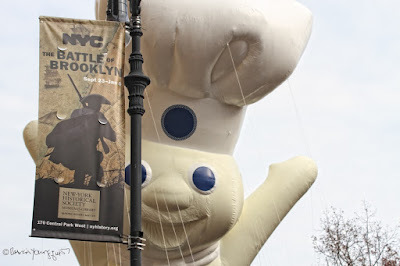 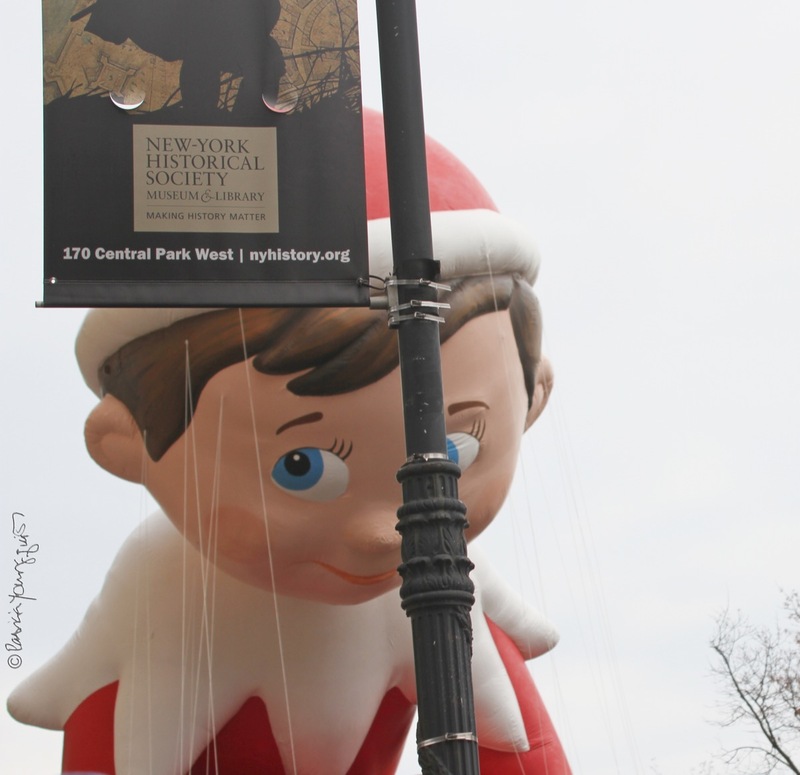 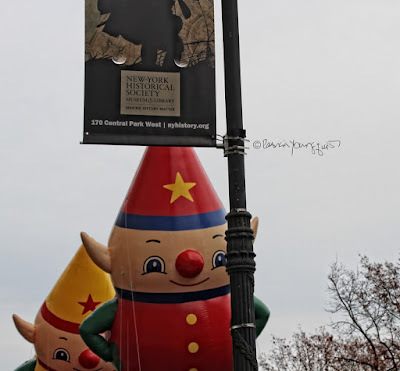 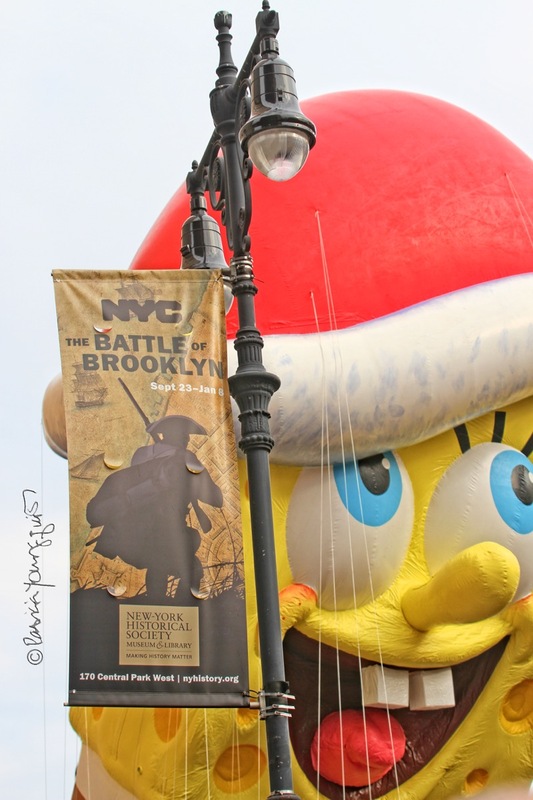 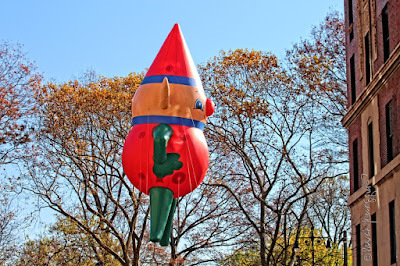 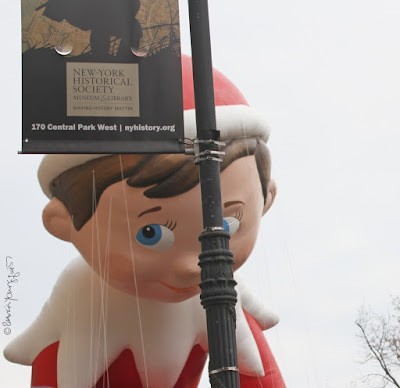 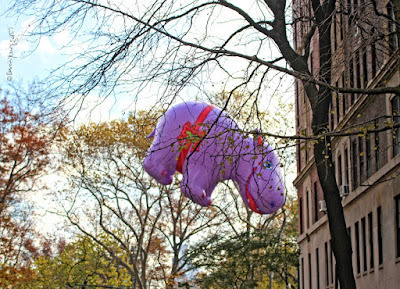 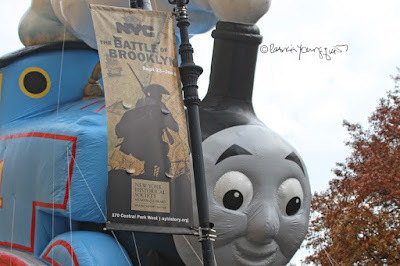 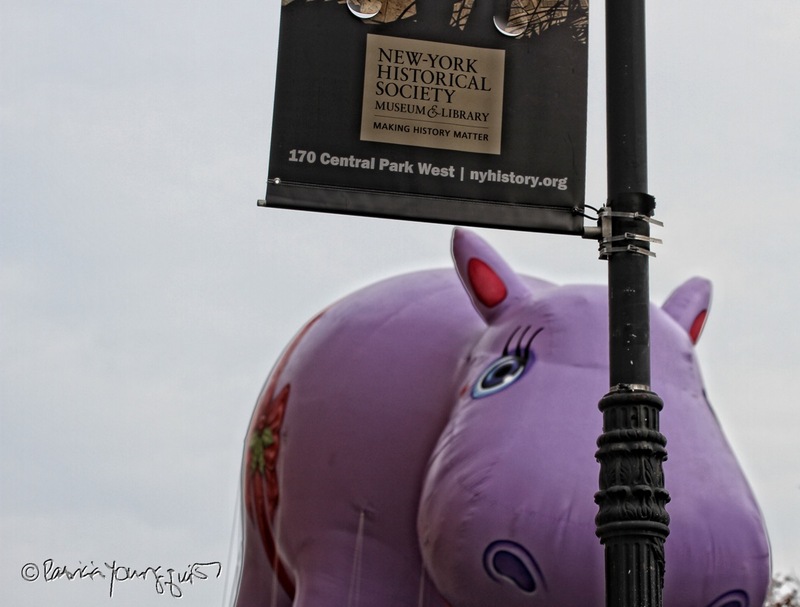 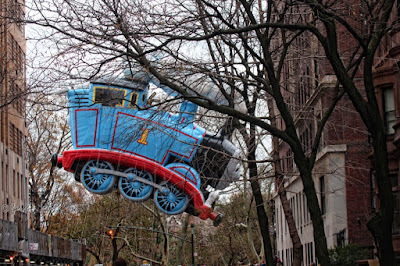 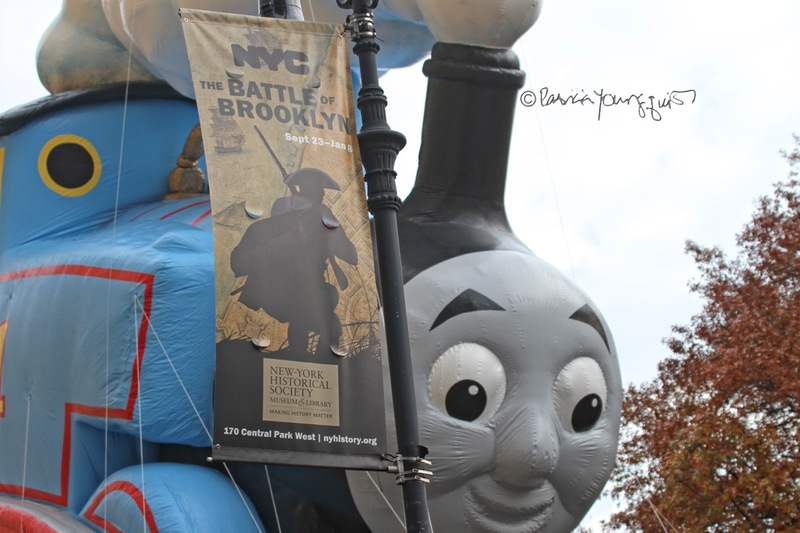 Charlie had a make-over for this year's Macy's Parade, which allowed him to have his kite! 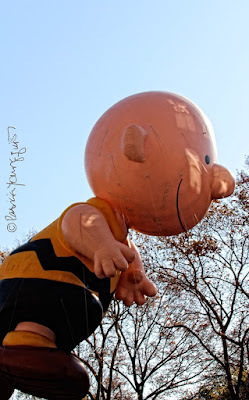 I've seen Charlie Brown taking part in the parade in bygone years as he raced down the street, as he is doing in the picture below (an image that you may recognize from a recent post here on Blogger). 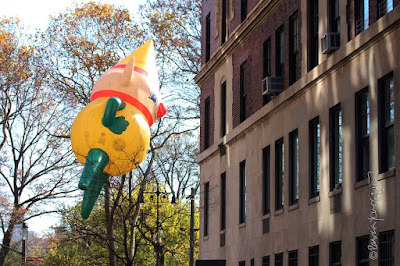 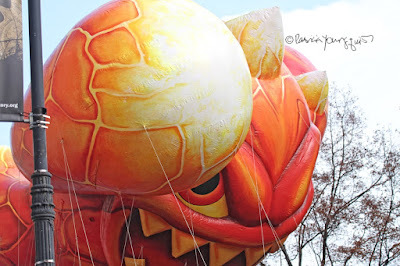 However, I've never seen CB be the lead balloon in the parade nor have I seen him with his kite in this venue! 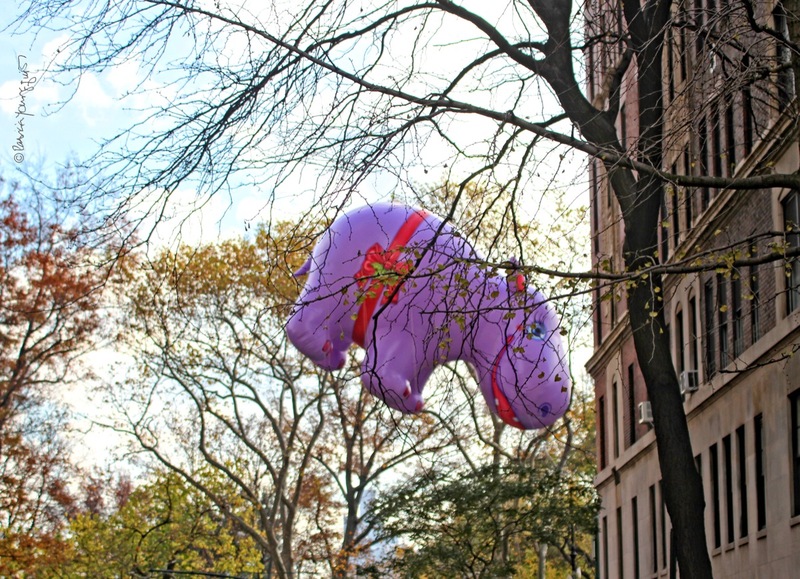 He clutched it very tightly, for the day was far too windy, for kite flying! 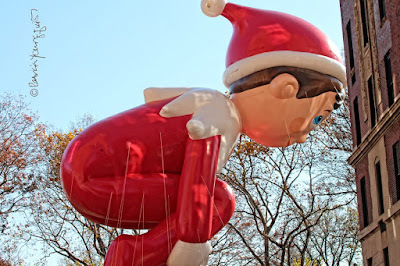 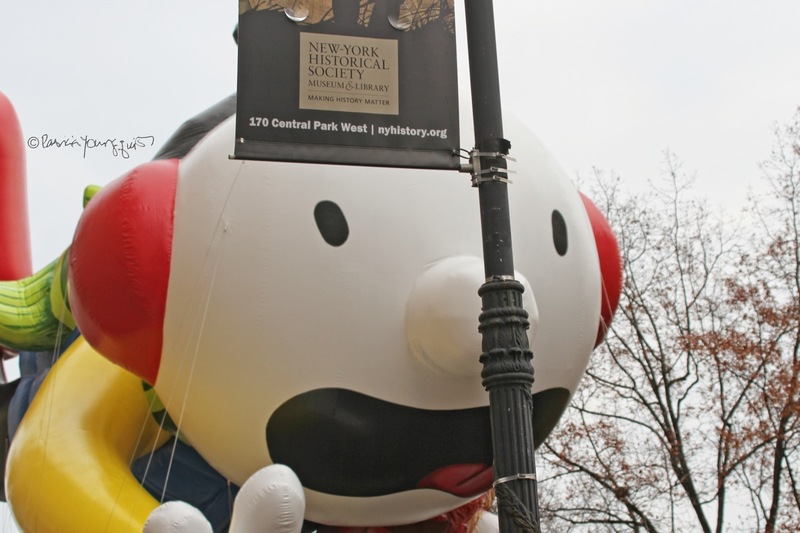 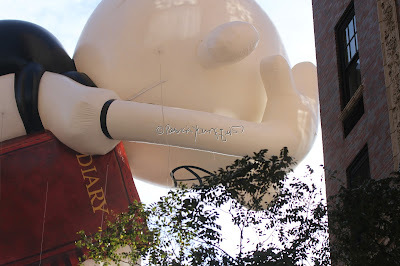 The other balloon to get a make over in this year's parade was Gregg Heffley (The Wimpy Kid). In bygone years he can be seen peering into windows of apartment buildings along the route; today it was so windy the made-over Gregg couldn't stay above the street signs and in some instances, he crashed into them! 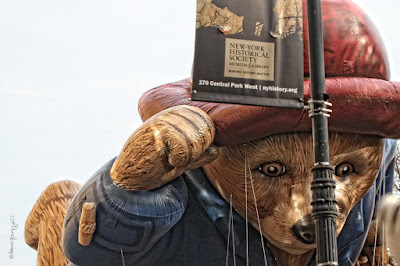 Gregg as he appeared in prior years as well as how he appeared today, can be seen in the following images (respectively). 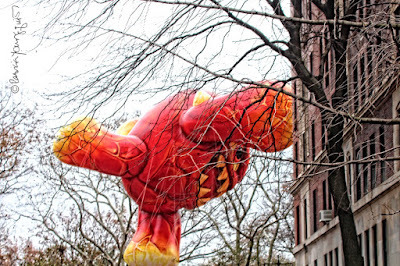 Other returners to the parade who had once been able to indulge in starring into the windows of residential buildings on top floors had to struggle. These include The Elf on the Shelf, Happy Hippo, Paddington, The Pillsbury Doughboy, Sponge Bob, Skylander's Eruptor, Thomas the Tank, Pikachu, as well as the Macy's elves. Each of them as they appeared in prior years, as well as how they appeared today, can be seen in the following images (respectively). 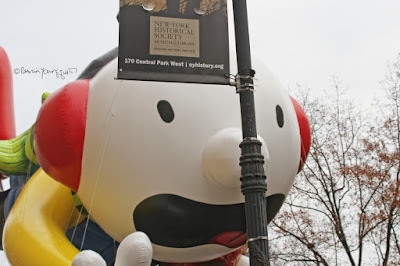 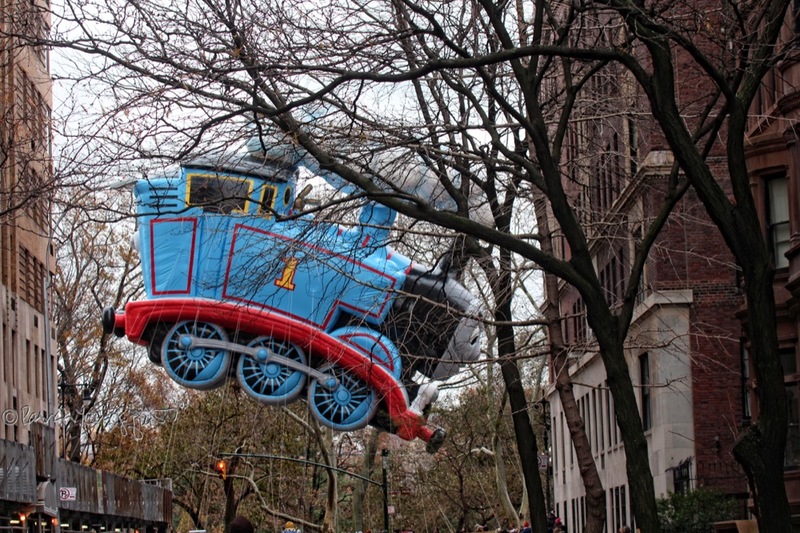 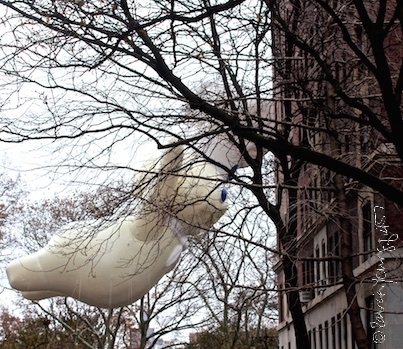 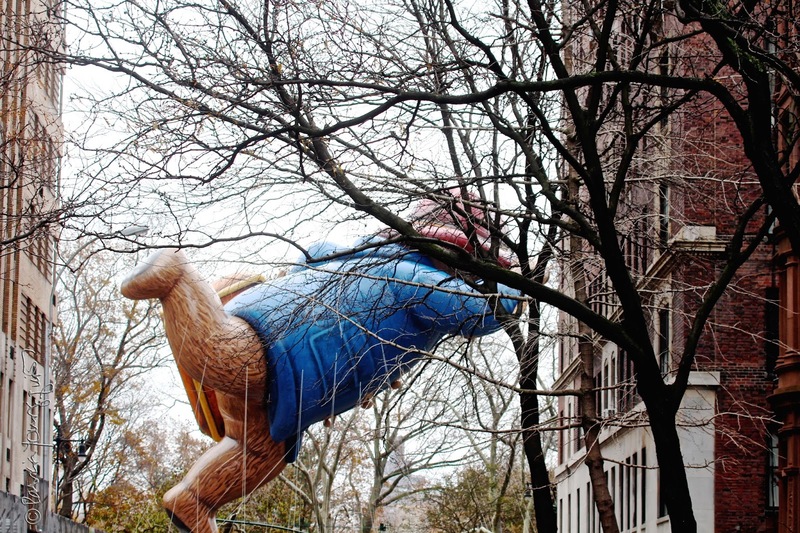 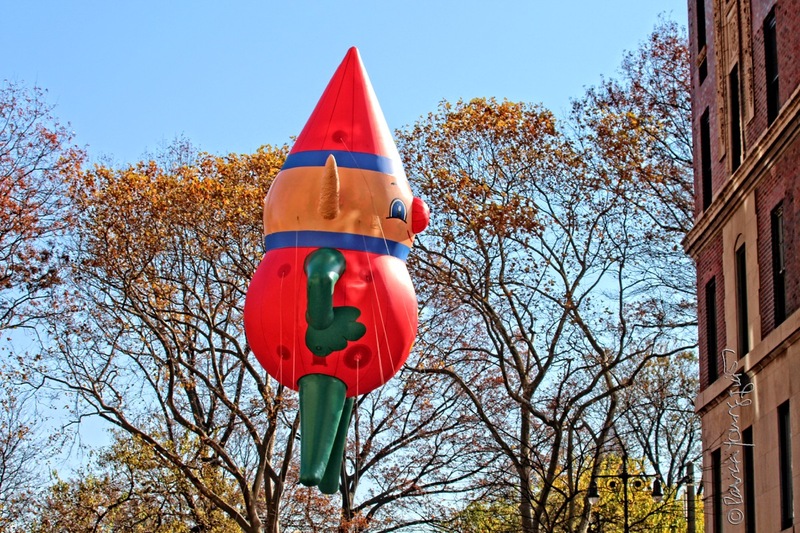 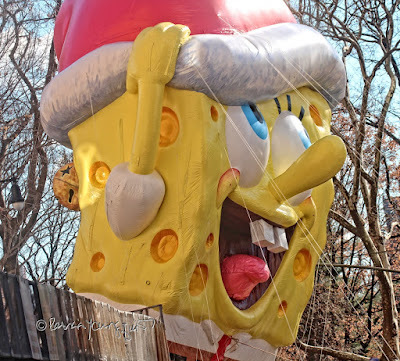 That's it for Part One of my coverage re the 2016 Macy's Thanksgiving Parade, dear reader, but due to tune agin for part two, where you'll meet the balloons that appeared for the first time!